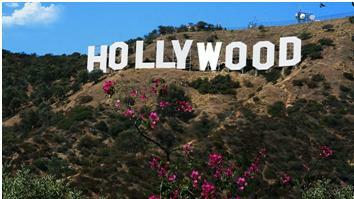 Hollywood is a world famous area in Los Angeles, and world capital of entertainment. Hollywood was a small community in 1870 and incorporated as a municipality in 1903. It merged with the City of Los Angeles in 1910, and soon thereafter a motion picture industry began to grow, eventually becoming dominant in the world. Buildings, roadways and a public transportation system have transformed the neighborhood. Hollywood has two high schools and a large number of other schools as well as a wealth of tourist attractions. What is attractive about buying a home in Hollywood? You get the true Los Angeles urban experience, a highly walkable area, access to public transportation and easy access to freeways. Hollywood is close to West Hollywood, Silver Lake, Hancock Park and Los Feliz. Call Tony to discuss Coldwell Banker homes for sale and all of your realty options. (310) 497-4117. Great shopping, eating and entertainment. A great place to take a break from seeing all the sights on Hollywood Boulevard. Originally opened in 1926 by the same team that created the Egyptian Theatre and the Chinese Theatre. A much needed restoration was completed in 1991. The theatre is home to first run Disney films and Disney premiers. The theatre is complete with a fully restored Wurlitzer pipe organ. $10-$20. Concerts at the bowl are a must for the true Los Angeles experience. This Hollywood icon has seating for almost 18,000 and is the largest natural amphitheater in the US. Pack a meal and listen to your favorite music live as the sun goes down and the stars rise. Runyon Canyon Park is a 160-acre part right in the center of Los Angeles. The trails are park are a highly popular destination for hiking and dog-walking (off-leash is permitted) by local residents. There are five ways to access Runyon Canyon. Check the website for details. The most famous movie theatre in the world, opened in 1927 and renovated to house the IMAX movie experience. The courtyard in front of the theater is where you can find those famous cement footprints, handprints of many of Hollywood’s classic movie stars. The Hollywood Wax Museum is the longest running wax museum in the United States, with more than 45 years of continuous operation by the same owners since 1965 and featuring over 180 figures of celebrities. A unique movie theatre built in a geodesic dome. The theatre is popular for movie premiers because of its impressive acoustics and ultra-wide screen. The rear courtyard entrance is a great place to spot celebrities attending a film. The Hollywood Walk of Fame consists of a series of bronze stars embedded in the sidewalk to commemorate famous movie, radio, theatre, and TV personalities. Since 1960, over two thousand stars have been immortalized; the schedule for upcoming star ceremonies is listed on the Walk of Fame’s website. Opened in 1930 the theatre has been host to the Oscars and the Emmys. It is now home to top notch live theatre.